“-Jet taking off and nobody know where it going? Boss, you taking ghetto man for idiot again? -Mister, me say nobody duh know. Not even the commissioner know. He don’t even know that the Singer plan to fly out. That’s the funniest line in Marlon James’ nearly 700 page epic “A Brief History of Seven Killings”. In fact it has the distinction of being the only somewhat humourous line in the book which is populated by a very large cast of violent, murderous, corrupt human beings. Find out more than you would probably ever want to know about Jamaican gangs. 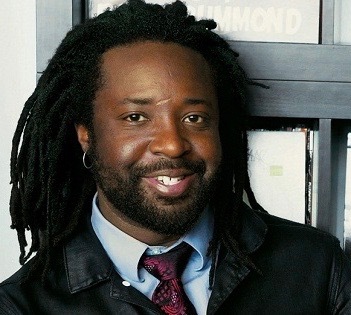 Marlon James did. He, in his own estimation, just used his imagination. It’s very good. “In his Facebook post, James said that being famous hasn’t made him feel any safer in Minnesota. “I have a big global voice, but a small local one, because I don’t want to be a target, and resent that in 2017, that’s still the only choice I get to have. … I go out of my way to avoid police, because I don’t know how to physically act around them. Do I hold my hands in the air and get shot? Do I kneel and get shot? Do I reach for my ID and get shot? 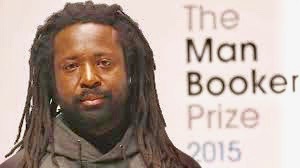 Marlon James is a big man. He grew up in Jamaica, in Kingston. I sorta figured that. I didn’t know his mother was a cop and his father a lawyer and that he’s “gay” until a few days ago. That’s the word he uses so I’m all right with it. I just finished the book. So I put my consort up to it. Nursing my drink I was chatting with John Vaillant who happened by, hunkered down, and we reminisced about “Trivento Private Reserve Malbec” from my great days of wine consulting. He was going on at the festival a bit later, same as Marlon. We’d met before and I mentioned I’d reviewed his book “The Jaguar’s Children” for “Postmedia”. “I never read my reviews,” he said. And this is what Marlon James wrote on the title page of “A Brief History…” that fine early evening. “To Cathy! “If it no go so, it go near it” – Jamaican proverb.” The date was October 27, 2015. This entry was posted in Certainties, Wine, Writers and tagged John Vaillant, Marlon James, Trivento Reserve Malbec. Bookmark the permalink.